The needle plate screws on a sewing machine don't need to be real tight - however if yours have not been off in ages they can be difficult to remove. On many machines you can't get an ordinary screwdriver straight into the screw slot because of the arm above the plate. This results in marring the screw slots and potentially slipping the regular screwdriver out and scratching the finish! This special offset screwdriver will allow you to remove the needle plate screws on the Singer 221, 222, 301, and other sewing machines without damage to screws or your machine. The ends have been checked and modified if necessary to fit the narrow slots on many of these screws. 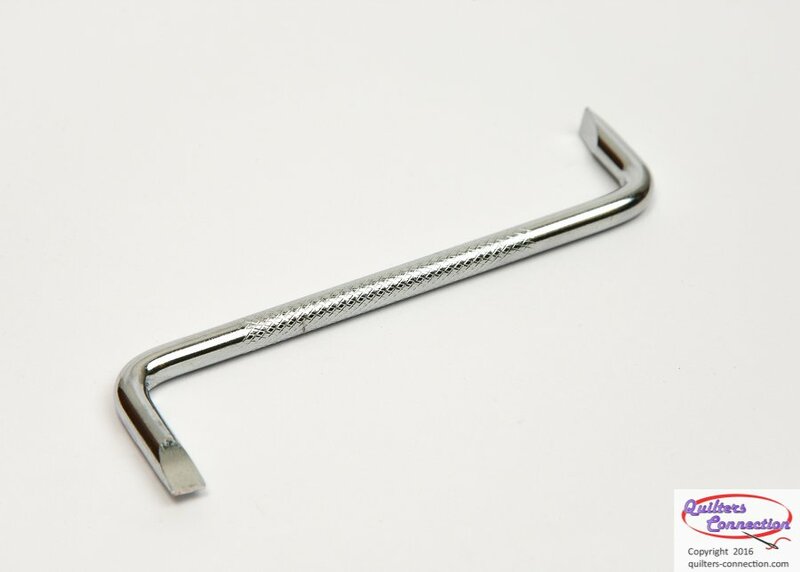 You can also use this on other stuck screws where you need the clearance or leverage. You may not use it often but it is a real lifesaver when you need it.